Summer may seem very far away, but the truth is, it will be here before you know it. While Grapevine and the surrounding area doesn’t get as cold as other parts of the country, you probably spend a lot more time inside during the winter months. By the time spring rolls around, you’re ready to sit on the porch or patio again, and once summer arrives, you’re really into the swing of your outdoor entertaining. At Passion Lighting, we can help you plan, design, and install your new outdoor lighting for the summertime. Whether you’re adding a new pool area, or you want to revamp the front of your home, we can provide the fixtures that will make your home stand out in the neighborhood. You might have plans to completely transform your yard this year, which means everything from new sod to new shrubbery to new exterior woodwork. 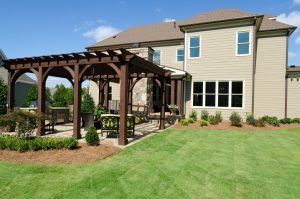 If you’re building a pergola to cover a new stone patio, or you’re extending your yard to the property line, none of it will look and function how you want it to without the proper lighting. We’ve written before about layering your exterior lighting, and everything from overhead lights and outdoor ceiling fans to post lights and landscape lighting will play a role in how your new yard looks and feels. Whatever new projects you have planned for this summer, let Passion help you find the right outdoor lights for it. We have a great selection from which to choose! If you’ve lived in your house for several years, then there are likely elements that you’ve wanted to update since you moved in, and perhaps you’ve completed some of those projects. As you work on interior elements this winter, you might be thinking about which outdoor elements you can tackle once the weather is a bit warmer. A great place to start with new outdoor lighting is the fixtures along your sidewalks and steps. If you have uneven concrete, then it can be worth it to replace the walkway and line it with appropriate ground-level fixtures. For your steps, making sure they’re easy to see will help ensure that people can safely make their way to the front or back door when you have guests. If your yard is going to have a new layout following your updates, then it’s important that your lighting follows suit. For example, if you add on and expand the existing backyard deck, then you’re going to need new post- or pier-head lights on the new corner posts. If there’s an exterior light, such as an outdoor sconce, that’s mounted on the side of the house that used to shine on the deck, then you may need to move or reposition it so that it illuminates the new deck area. 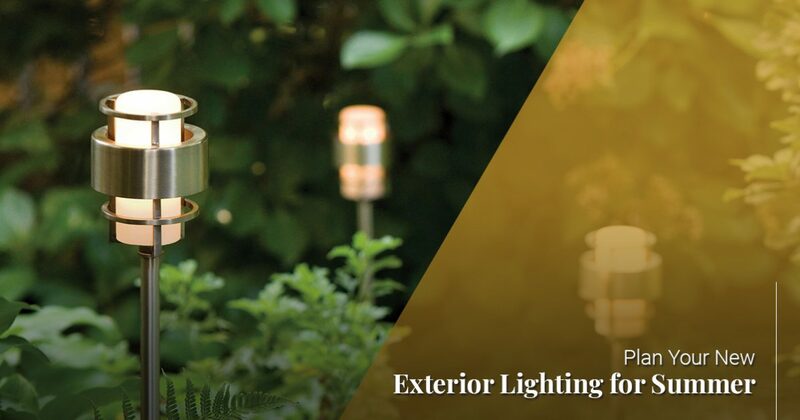 No matter what plans you have for your yard this summer, it’s never too early to start looking at outdoor lighting. When you shop with Passion, you can count on receiving exceptional service and access to the finest lighting selection in the Dallas/Fort Worth area.